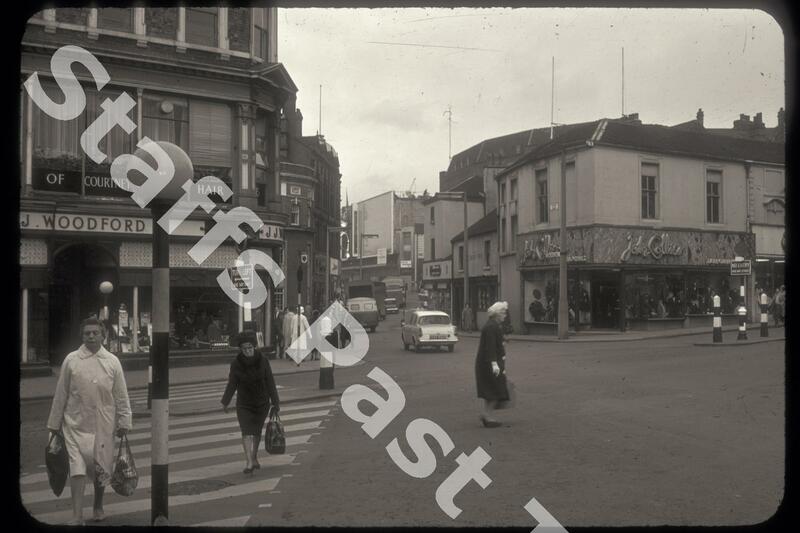 Description:This was the view up Stafford Street from the corner of Piccadilly. 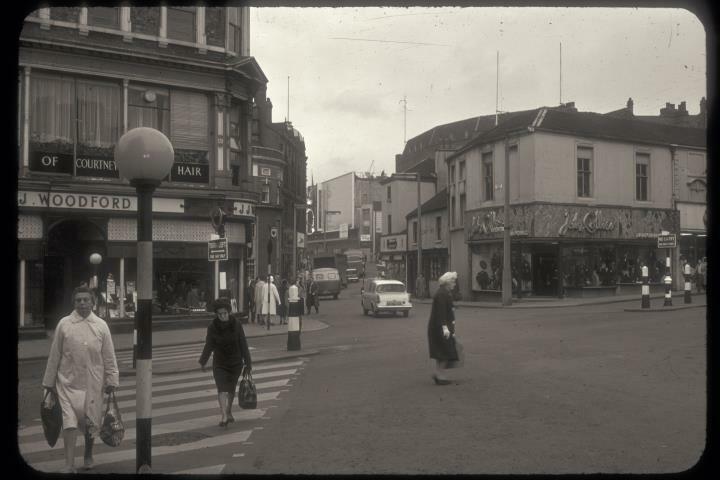 In the centre in the distance is the "new" Lewis's Department Store, under construction in 1963, on Lamb Street. This shop replaced the earlier store and arcade closer to the camera on Stafford Street, the roof of which just appears behind the shops in the foreground. The entrance to the new store was marked with a sculpture "Man of Fire (Fire is at the root of all things both visible and invisible)." The 35 feet tall spiky aluminium figure is just visible on the front. It was more usually known as "Jack frost". The sculpture still adorns the centre. The Lewis's store closed in 1998 and was incorporated into the Potteries Shopping Centre reopening as a Debenhams store. The shops on the right include Greenwood's (outfitters), John Collier (tailors). Opposite on the corner of Piccadilly was J Woodford's (mens outfitters) and just beyond a branch of Barclays Bank, on the corner of Trinity Street.